Shawn Ashmore may not have reached household name status as of yet, but nothing can be taken away from the Canadian actor’s talent which has earned him Canada’s equivalent of the Emmys, a Gemini Award. From his roles in the X-Men film series as Bobby Drake/Iceman and The Following (2013-2015) as Agent Mike Weston, Ashmore deserves to be, at least, mentioned in the same breath as some of the best in the movie industry. Shawn Robert Ashmore was born a twin to Linda and Rick Ashmore on the 7th of October 1979 in Richmond, British Columbia but he was raised in St. Albert, Alberta and then in Brampton, Ontario. From a very young age, Ashmore, along with his twin brother, displayed some remarkable acting talents that made them the talk of the town. While attending Earnscliffe Senior Public School and Turner Fenton Secondary School, Shawn Ashmore was able to land roles in episodes of Katts and Dog (1989) and The Ray Bradbury Theater (1992) as well as in the film Married To It (1991). By 1994, Ashmore’s acting career got a huge boost after he put in a Gemini Award-nominated performance in Guitarman (1994). This propelled him to roles in Any Mother’s Son (1996), Promise the Moon (1997), Animorphs (1998-1999), and In a Heartbeat (2000-2001). At around this time, Ashmore got to appear in Marvel Comic’s X-Men (2000) where he played the character of Iceman. His brief appearance in the movie left an impression on the producers and led to him reprise his role in the sequel X-Men 2 (2003) where he had his breakout performance. His part in the movie earned him the MTV Movie Award for Best Breakthrough Performance as well as other nominations. Before that, however, he had won the New York International Independent Film and Video Festival Award for Best Actor for his portrayal of Cadet Major Brad Rigby in Disney’s Cadet Kelly (2002). In 2004, Ashmore put up a Leo Award-winning performance in the SciFi Channel miniseries Earthsea and then appeared in Underclassman (2005), 3 Needles (2005), and The Quiet (2005) before starring as Terry Fox in the biopic Terry (2005) which earned him a Gemini Award nomination. He went on to show his acting reach by taking roles in the horror film The Ruins (2008), the thriller Frozen (2010), and the apocalyptic war film The Day (2011). In recent times, Shawn Ashmore has reprised his Iceman role in X-Men: Days of Future Past (2014) and appeared in the series The Following (2013-2015) and in the movie Acts of Violence (2018) alongside Bruce Willis. Is Shawn Ashmore Gay or Married to a Wife? 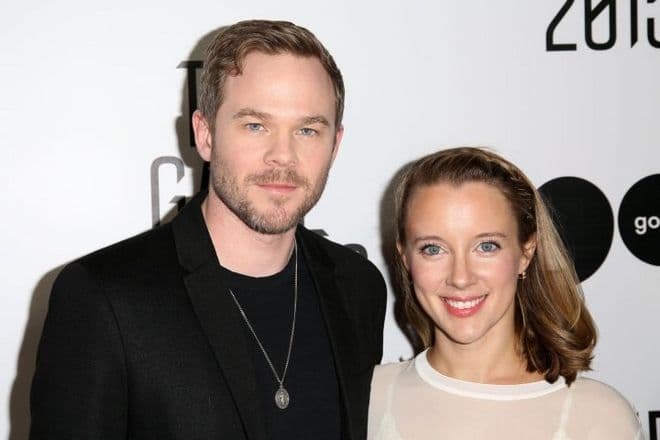 Shawn Ashmore is definitely not gay as he is married to the beautiful Dana Renee (nee Wasdin), a film producer known for movies like Red Menace, Mob City (2013) and Tales of Halloween (2015). The X-Men actor made headlines that suggested he could be gay after he proposed playing his character in the film, Bobby Drake/Iceman, as a gay superhero. He said doing so would provide a positive message to the LGBT community and also enshrine the movie’s message of diversity. In his personal life, however, Ashmore is enjoying a very healthy heterosexual marriage that began on the set of the drama thriller film Frozen in 2010. The pair dated for two years before tying the knot in July 2012 in Los Angeles, California. Together, the pair has a son named Oliver Ashmore who was born in July 2017. 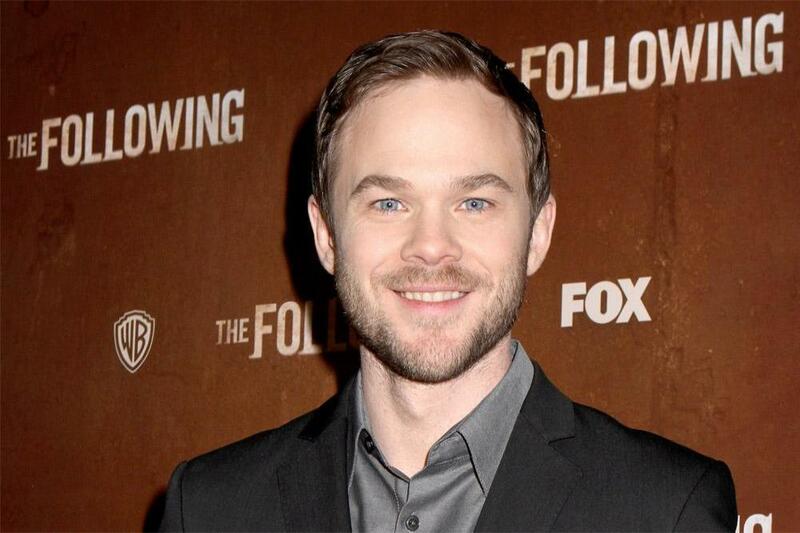 As mentioned above, Shawn Ashmore has an identical twin brother named Aaron. Like Shawn, Aaron is also an actor and the two have played twin roles in several movies. Aaron has, however, not quite attained the heights his brother, who has received several awards, has reached as it has been said by him that he always gets cast in antagonist roles while Shawn gets to play the nice guy. Despite all, the two remain very close and are said to always spend time with each other, doing things like listening to music, playing guitar and snowboarding. Aaron Ashmore is best known for playing the roles of Jimmy Olsen in Smallville (2006–2009, 2011), Steve Jinks in Warehouse 13 (2011–2014), and Colin McNeil in Missing (2005-2006). With a height of 5 feet 11 inches or 1.80 m, Shawn Ashmore is the shorter of the Ashmore twins as his brother Aaron, who is one minute older than him, measures 6 feet or 1.83 m.